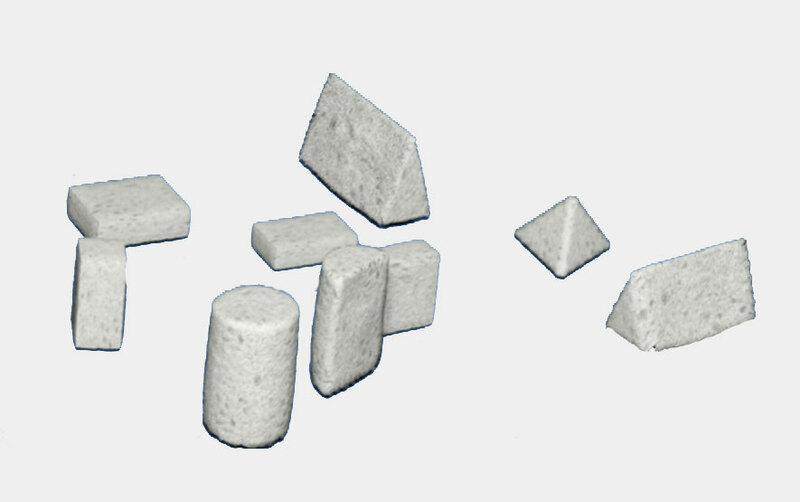 Hydroxyapatite ((Ca)10(PO4)6(OH )2) may be of natural or synthetic origin . 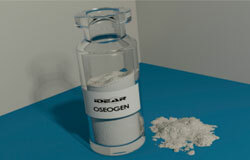 Oseogen , hydroxyapatite bone substitute, made from natural origin , is a non – resorbable irregular granular material and its used for filling impaction . 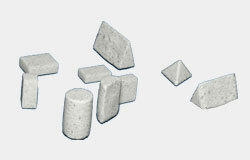 It comes as grain, dust or shapes as wedges , cylinders or cubes . Oseogen , is indicated for filling bone defects applied by impaction in the acetabulum , for revision surgery failed femoral stems , revision knee surgery and spinal surgeries or to fill different tumoral resections. Also used in dentistry. The Bioosteo is a biomaterial formed from a polymer and a crystalline osteointegrable part as calcite , which provides mass and increases the power of osseointegration. Its specific weight and elasticity are similar to bone. Biocompatible , osteoconductive , osteointegrable and nontoxic .